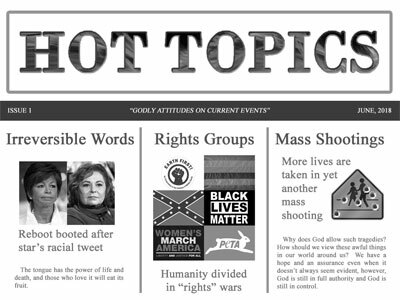 Hot topics. Current events. What does God’s Word have to say about these topics? What is the attitude that God’s people should have toward these topics that easily heat up during the “water cooler” conversations and social media?